We at Broos action can help do lots of online services for both you and your business, in short we make your business in better action. By providing your business with a traffic medium to operate on, At Broos we also do renovation of old site design and technologies into new smart ones. By building mobile smart websites to clearly and better be opened on todays smart phones, tablets and other devices is our aim. At Broos action we also supply apps, site templates, online traffics, advertising banners and widgets to help you reach the right customers. Not only that but we also help programmers by publishing there apps and softwares freely in our app store. Managing your personal or business site is some times very difficult, At Broos we can do just that for you in our special way. We develop our own online and offline technologies or softwares. In fact we are the right answer to your problem, is it traffic you need? or a mobile site? a online advert banner or a others . we have it all. It is perfectly right to know how your service provider does it. 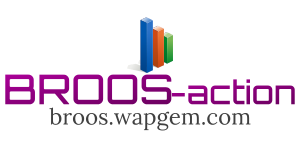 At Broos most of our mobile sites are hosted at; XTGEM or wapego and in some cases wapka or other site hosting companies. What really matters is the skill. and for web traffics, we know our potential, and our sites visitors as well as our partners. and we buy and sell lots of traffics dairy. In the manner that we own atleast 12 mobile sites. and manage others sites while we also control sites under our construction as we make sure our clients site is already exposed to lots of visitors every when. its not yet done. we make sure our client site being redesigned or made etc gets as many dairy visits evern when clients start managing it them selves. Try us, and see why we are the best online services provider. its not magic but its our skill, and aim to make you a happy business online. Broos action is a company owned by its founder ; BRUCE MUBANGWA. who founded the all working systerm. The Broos action ™ has successful completed many tech projects. and happily wellcomes new employees and encourage many to apply. there are many careers involved in making all of this work. we have software engineers. business administrators. web , logo, and banner designers accountants. and many more. We at Broos action know that for us to grow our business we still need more talented people. About Us Broos-action technologies is an online major website creator and design, the chief traffic trader and the offline software / app maker and supplier, the all project was started in 2012 by its founder ; Bruce mubangwa, with the aim to help make a better safe internet & tech world for everbody. • We reside online at Broos.wapgem.com . have an experience with web technologies and have redesigned many sites. we has a good partners relation with our partners. online and offline software / app creation, servicing & supplying. One might wounder when we say site traffic trade. This only happy when one has a medium of sites at prey, and we just have that we own at least a medium of sites in different categories and receiving good traffics. Copyright. Broos.wapgem.com .All rights reserved.